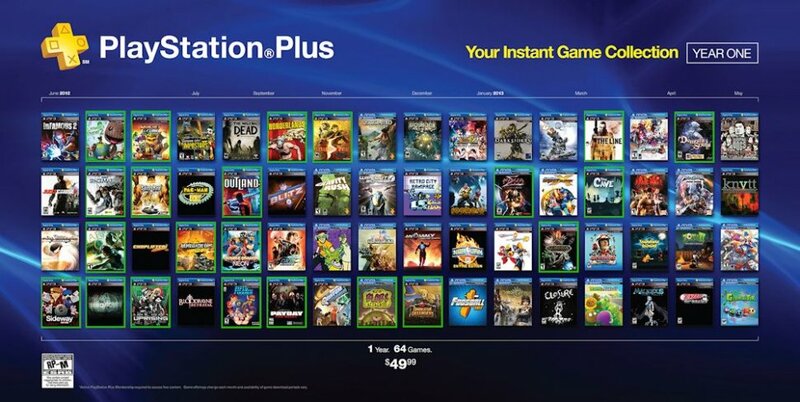 It's hard to believe that PlayStation Plus's instant game collection is over a year old. When Sony announced it's premium service and promised free games, discounts and exclusives - many were doubtful. But 64 free games and thousands of dollars of discounts later, there are a lot of believers. That's quite an impressive lineup of co-op games. There's also a lot of great smaller games like Guardians of Middle-Earth, The Cave, and Renegade Ops. I'll admit I was skeptical at first as to whether or not Sony's plan to add value to a premium service would work - but for just $50 a year you have access to a ton of great games. This seems like a great alternative to something like Gamefly, though you don't quite have the same level of choice. Do you think you're getting your money's worth for PlayStation Plus? Page created in 0.6443 seconds.